Because of the convenience of mobile phones, more and more people would like to enjoy movies, TV shows and music on iPhone and Android. We here will provide some tips for you, you can know some methods about how to watch TV show or series on iPhone (iPhone X and iPhone 8 included) and the easy way to download movies or TV shows to iPhone for offline playback. Sometimes, you may choose to install a TV app from iTunes store, or download TV to you computer to sync TV to your iPhone. If you can't find all your beloeved TV shows on iTunes or feel it expensive to purchase TV shows or movies from iTunes, you can use these 2 other easy ways for watching TV series or TV shows on iPhone from here. To enjoy wonderful TV shows on your iPhone, iTube Studio you can use video downloader to download online TV shows. This TV show downloader for iPhone, Android, Mac and Windows allows you to download any TV show and TV series from YouTube, Google video, CNN, Vimeo, Dailymotion and more, and then convert to iPhone, iPad, iPod and more. 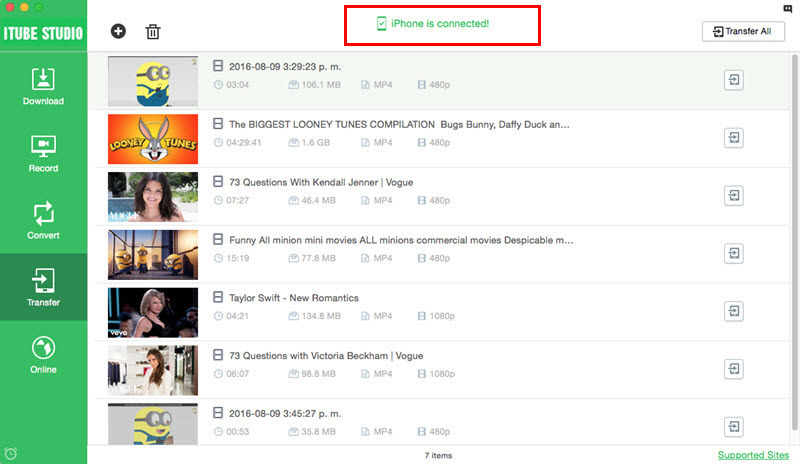 If you fail to download videos from some sites like Hulu, Netflix and more, you can turn to record the videos. iTube Studio is also a video converter that can help you to convert videos to any format and directly to your iPhone or other devices. So you do not need to worry about the compatible issue. 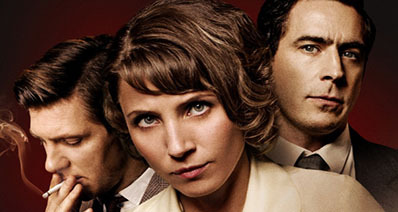 Just try it to get more TV shows for your iPhone. Supports to download videos from 10,000+ sites like YouTube, Netflix, Hulu, Vimeo, Metacafe, etc. Equipped with a video recorder which allows to capture any online video from any online site. Offer a Private Mode to protect the downloading information with a password known by yourself only. 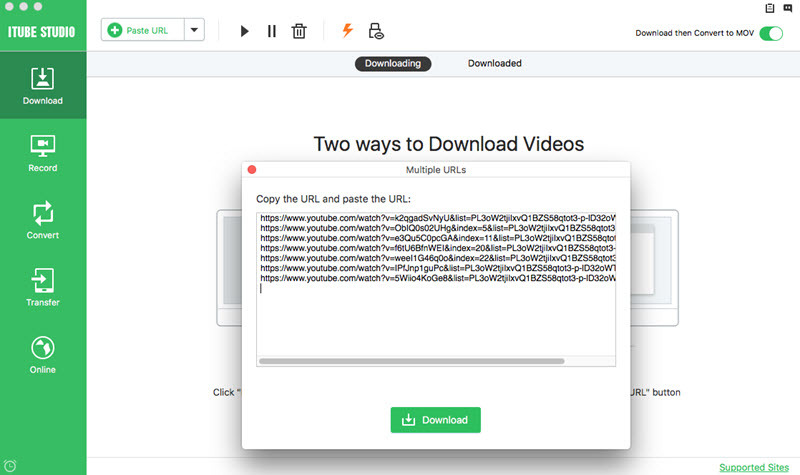 Convert downloaded videos to any formats you want, which makes it easy to play videos on different media players. Directly play downloaded TV show or TV series in the video downloader without limitation of formats. Launch the TV show downloader and go to the main interface as below image. Then go to find your favorite TV shows. 1) When you open your favorite TV show, you will get a "Download" button by side of the video window. Click and select the resolution you want and download the show. 2) Or you can directly drag and drop the show URL to the main interface. And the program will start to download the show. 3) You also can copy the TV show link address, and then click the "Paste URL" button on the main interface. The show will be downloaded immediately. After you download the TV show, you can find a "Add to Transfer List" icon on the right of the TV show in the "Downloaded" tab. Click the icon, and navigate to "Transfer" tab to get ready for transferring process. Connect your iPhone to Mac at first, then click "Transfer" icon beside the TV show in this tab. iPhone is smart handheld technological device that is popularly used to take amazing photos, download, view and listen to multiple video and audio files, communicate with friends and relatives and even surf the internet. However, most iPhone users fail to realize that they can still use their smartphones to watch prerecorded or even live TV. 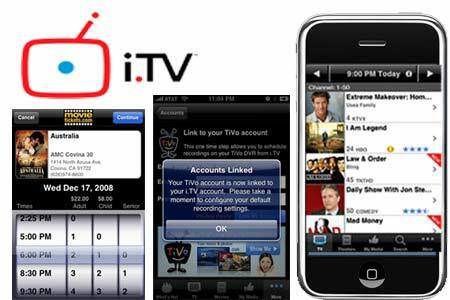 This should not be a problem anymore as this highly informative article is going to show you exactly how to easily watch TV on iPhone. 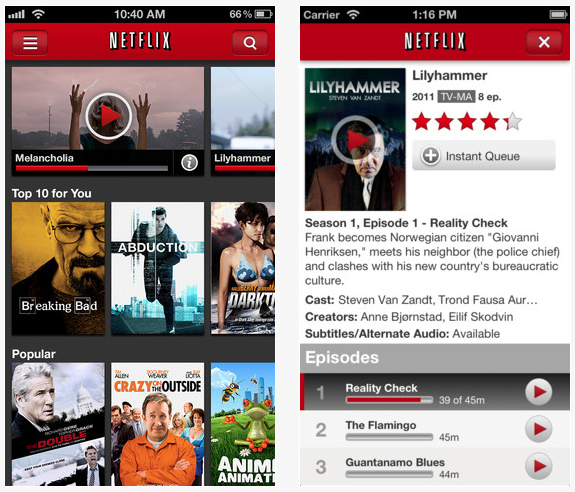 There are basically two ways that you can watch your favorite TV series or shows on your iOS smartphone. It is now possible to watch your favorite television programs directly on your iPhone's default browser Safari. This is because most leading television stations currently provide live feeds on their official websites. Kindly follow the steps provided below to achieve this. Step 1: Turn on your iOS smartphone's data connection or connect to a working Wi-Fi. Step 2: Launch the iOS "Safari" internet browser app. Step 3: Search for any popular website like ABC, Fox or Hulu.com that provides reliable online TV and file streaming services. Step 4: Select your favorite television show and then click on any episode of your choice. Enjoy your TV show. There are literally hundreds of applications in the Appstore or iTunes Store that can be used to watch prerecorded or even live television. Kindly follow the following steps to enjoy your favorite TV program on your iPhone. Step 1: Connect to the internet. Launch the "iTunes" computer program on your Mac or Windows PC. Step 2: Select "iTunes Store" which is located in the program's left-hand column and wait for it to fully boot up. 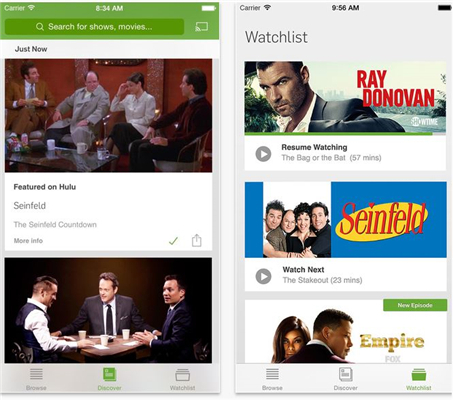 Identify and appropriately select the specific app you will be using to watch television on your iOS smartphone (Some of the apps you are likely to come across are Amazon Instant Video, Hulu, Netflix, HBO Now, Crackle and Comedy Central). Please ensure that you thoroughly compare all the readily available apps before settling on one. This is because a majority of the apps for streaming live and prerecorded television can be expensive. Step 3: Click on the "Buy App" option once you are satisfied with your choice and then enter your valid credit card information. Connect your iOS device to your personal computer and wait for iTunes to automatically detect it. Step 4: Click on your iPhone's icon, select the "Applications" option and select the TV streaming app that you have purchased from the "iTunes Store". 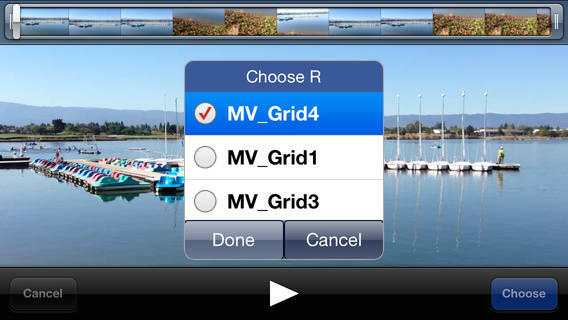 Now you can click the "Sync" button to upload the app to your iOS device. Disconnect your iOS smartphone from your PC once the app has been successfully installed, launch the app and enjoy watching your favorite programs. 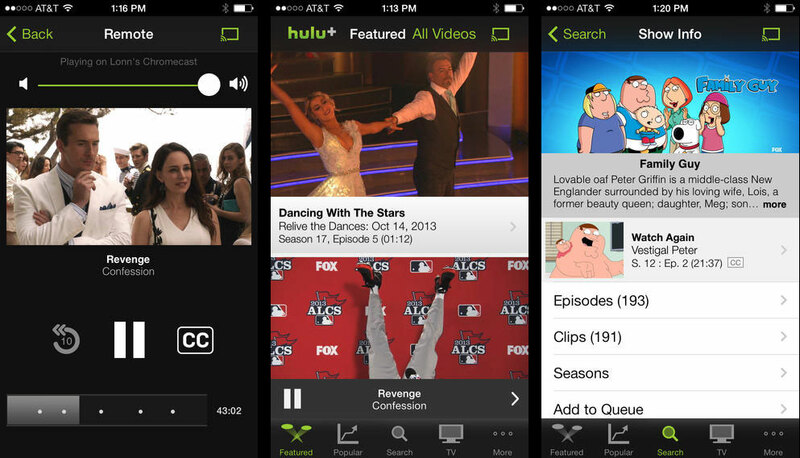 Hulu plus is one of the most popular apps for watching TV shows on your device. You need to sign up for the Hulu plus service on your Mac or PC, then you can download and install Hulu plus for free via the App store. After the installation, you can get a free subscription service for a week, and then the service would cost you $7.99 a month. What may let you down is that you’re subjected to ads. And well, there are some shows that aren't available in Hulu+. TV.com enables you to watch TV on iPhone all for free. It provides much the same programs as Hulu plus, but movies and many full episodes of series aren’t included. The contents on tv.com are from CBS, Showtime, the CW, and Classic TV. Of course you can't miss Netflix. It provides you both TV shows and movies. But it’s not a free service if you prefer to a free one. 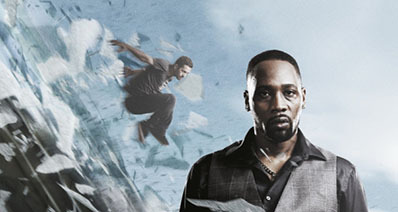 Netflix is well-known for its rich contents where you can find almost any hot and classic shows and movies. (The movies in Netflix are a incomparable option if you wanna watch movies on your iPhone.) It charges $ 7.99 per month which is the same price as Hulu+. There is a decent lineup of videos in Television, and those videos are from CNN, CBS, FOX, ESPN, Comedy Central and more. You can only watch TV on iPhone via Wi-Fi using Television. Like Television, TVU currently works only via Wi-Fi. It offers you live TVs from more than 300 channels all over the world and you can watch TV without limitation of time. You only need to pay $5 to get the service.